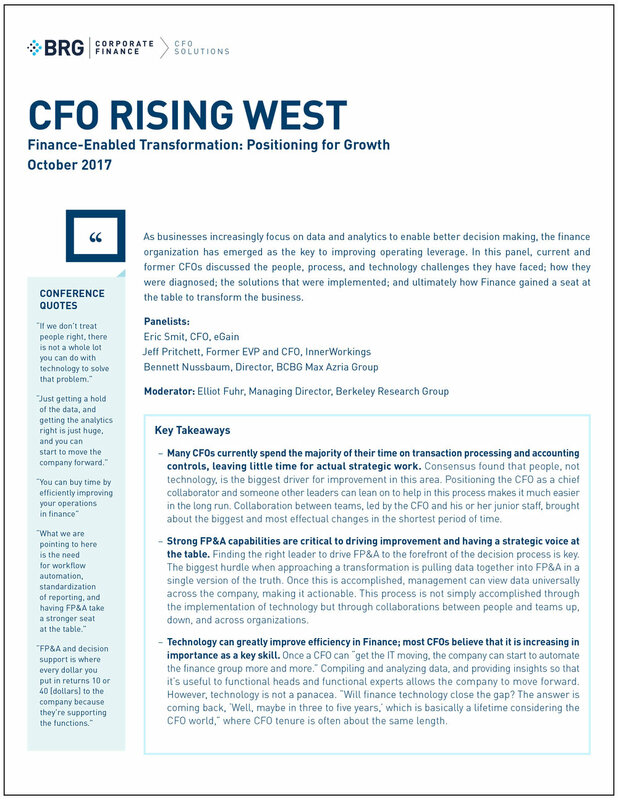 On October 16, Elliot Fuhr moderated a panel of CFOs from leading companies in "Finance-Enabled Transformation: Positioning for Growth." As businesses increasingly focus on data and analytics to enable better decision making, the Finance organization has emerged as the key to improving operating leverage. In this panel, CFOs will discuss the people, process, and technology challenges they have faced; how they were diagnosed; the solutions that were implemented; and ultimately how Finance gained a seat at the table to transform the business.